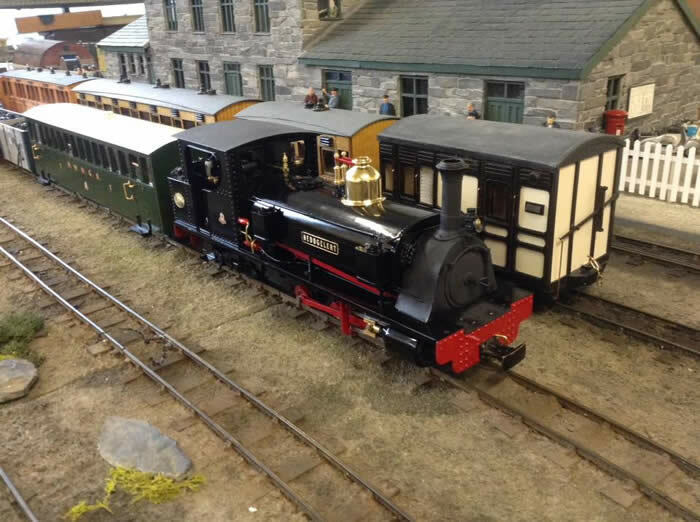 I first saw a 16mm model of Beddgelert at the 16mm National Show in 2010 when Mount Dowd hosted a Hunslet event at Stoneleigh . 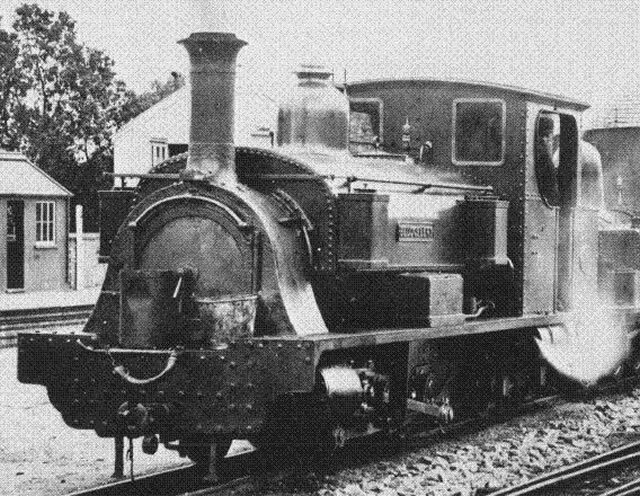 The decsion to build the loco was moved forward by the discovery of this picture in Don Townsley’s book “ The Hunslet Engine Works”  page 38. Beddgelert, 0-6-4ST, was built by the Hunslet Locomotive Company Leeds in 1878, to works order number 206. Beddgelert was designed for the the Bryngwyn Branch on the NWNGR, which ran from Dinas to Tryfan Junction where the branch started. The branch served a number of slate quarries on the slopes of Moel Tryfan. 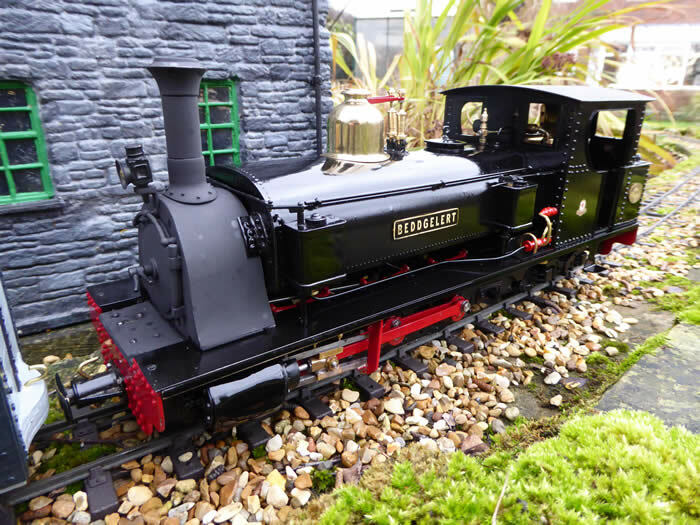 Beddgelert was a powerful locomotive suited to the heavy freight trains. Few pictures of Beddgelert survive. In the photograph above Beddgelert is double-heading an excursion train with one of the single 0-6-4 Fairlies at Dinas Junction in about 1892. Passenger excursions offered a new source of revenue. This special consisted of 23 NWNGR carriages containing 800 people was bound for Snowdon. The journey to Bryngwyn was uphill all the way with gradients as steep as 1:39 and thus an engine running smokebox first tended to “ sit-down” and lose adhesion. Beddgelert therefore did a lot of backward running up the branch which ran the extra risk of exposing the firebox crown. 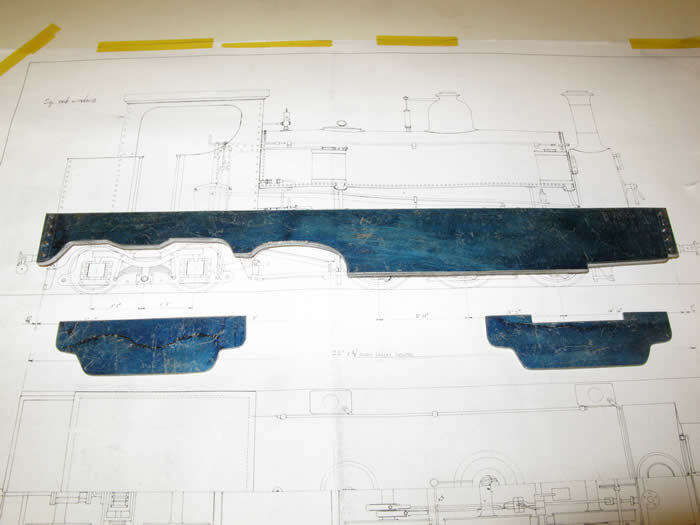 Hunslet records show that when returned for overhaul in 1894 the smokebox end of the boiler was raised by about 4 degrees. On its return in late 1894 or early 1895 the loco was delivered facing to run cab-first out of Dinas. 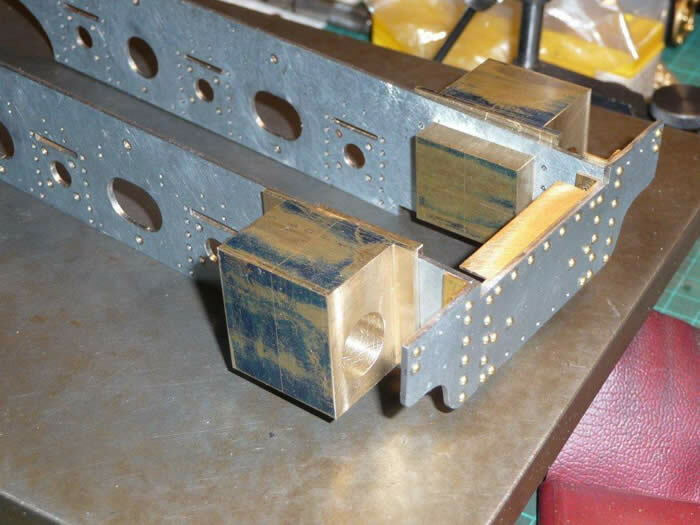 This would enable the loco to have greater adhesion because the weight would be on the driving wheel end. There would also be less overhang at the bottom end coupling which reduced the tendency to derail slate wagons on the steep and sharp almost 180 degree curve out of Tryfan Junction. The change is clearly apparent if you compare pipework on the works photo and the 1909 picture of the loco by Dinas signal cabin. This dating is a bit odd since most sources quote that Beddgelert was scrapped in 1906!! It must have been completely worn out after 28 years of service. Its place on Bryngwyn branch was taken by Russell. The frames were cut from mild steel strip and filed to shape. The rear bogie was designed and detailed. Holes were drilled for the axles. Frame bearers were added. The bogie is sprung and slides across the bearer in a slot. The coupling is attached to the centre of the bogie and moves through an opening in the rear buffer beam as per the original drawing. On sharp curves the bogie wheels can move outside the frames. The engine wheels and square ended axles were made by Trev Oughton as were the cylinders, steam chests and end caps. I made the saddle tank and put in the dummy rivets with a riveting tool. 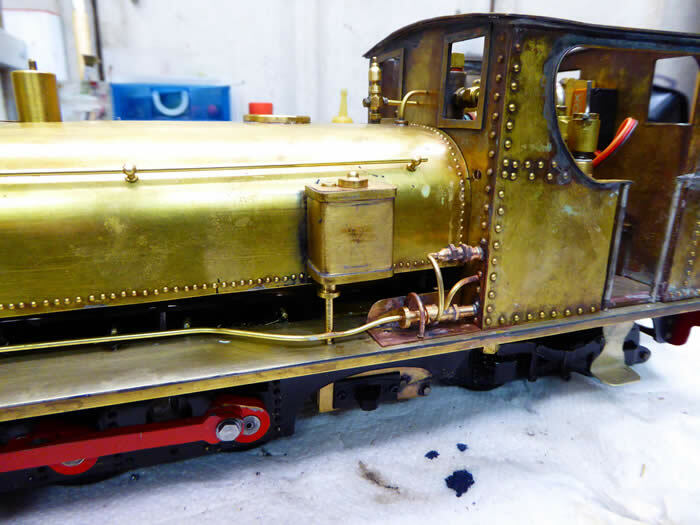 The cab and footplate were completed with correct rivet detail. The loco had inside steam chests with draincocks. The main steam was designed to enter the steam chests at the top. The valves were, of course, vertical. 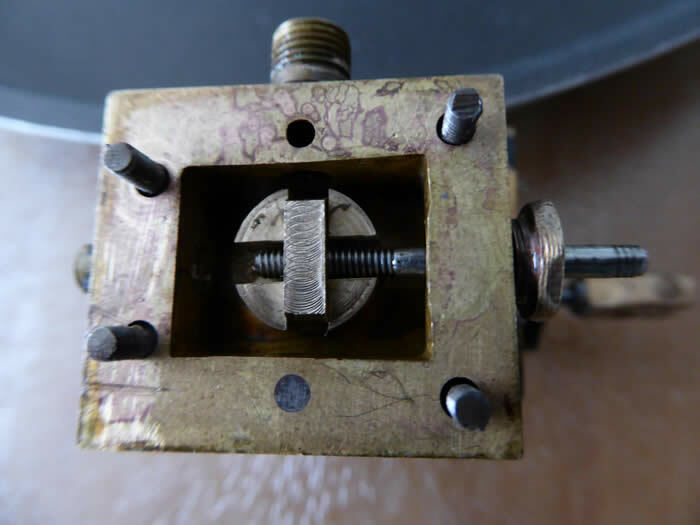 You can see the valve. 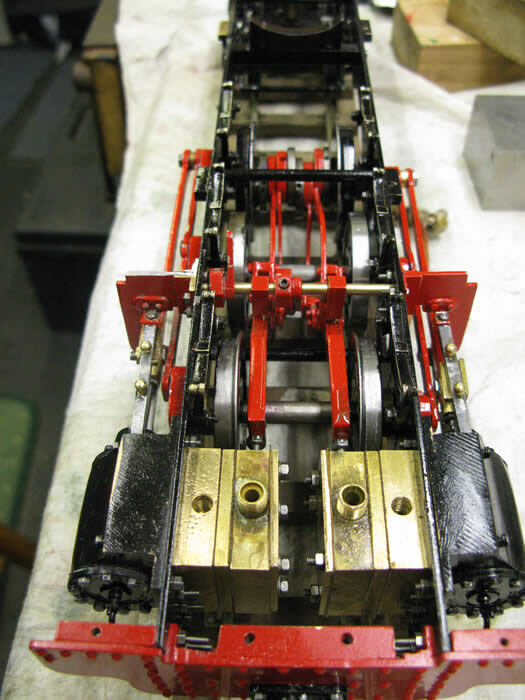 I manufactured the four eccentric Stephenson’s inside valve gear, the crosshead and pistons. The chassis ran well on air but would not run at all on steam. This would prove to be a frustration for the next eighteen months!! The steam input was then diverted to the front of the steam chests. This also proved to be ineffective. I decided that the fault probably lay with the valve gear so I decided to make the loco slip eccentric. The picture below shows one side of the design. It is stepped over the middle and front axles. Unfortunately tests on steam showed little improvement. 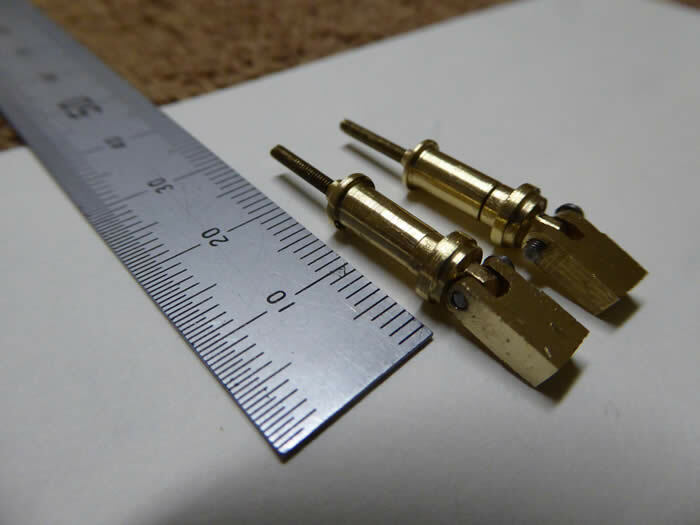 I then decided to change the design of the valves to ones that were similar to Roundhouse. This also made little difference! So I finally decided to pipe the steam directly on top of the valves. This meant getting two steam pipes into the steam chest covers, that is between the steam chests. As you can see there isn’t much space. The inputs had to be offset so the main steam tee could remain “in line”. I blanked off the inputs into the top of the steam chests. 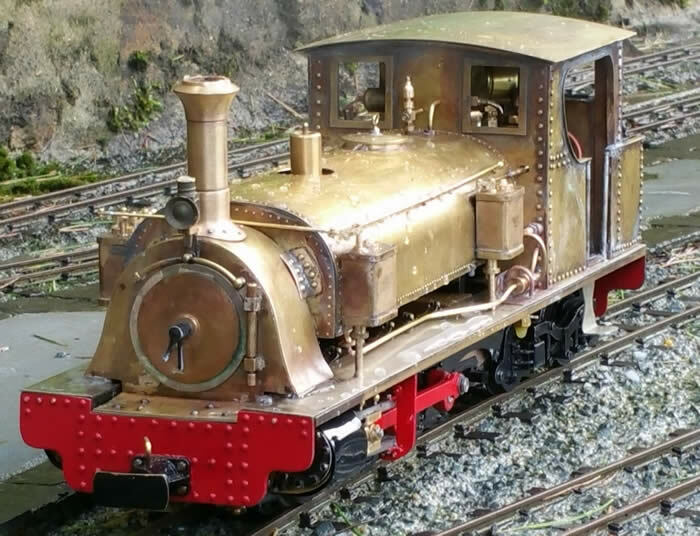 Surprise, surprise, Beddgelert steamed into life for the first time. 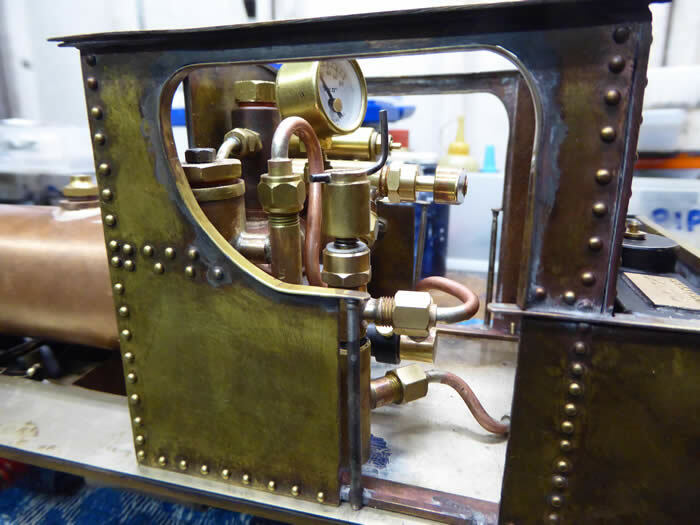 This was a massive relief, but no-one could explain why the valves did not work with the steam coming in at the top or the front, and moreover why she worked on air but not on steam. Now we could get on with making the boiler. I manufactured the bushes and end plates. And Trev soldered it all together. 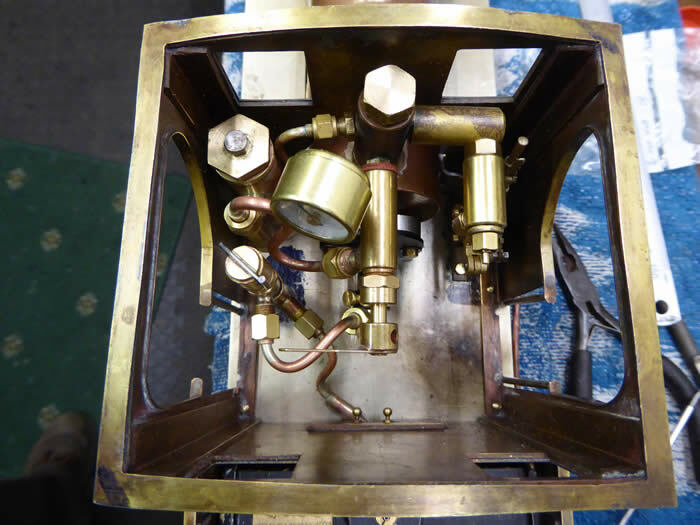 [ The subject of a separate Project ] The boiler has a Goodall filler valve and a John Prescott safety valve. 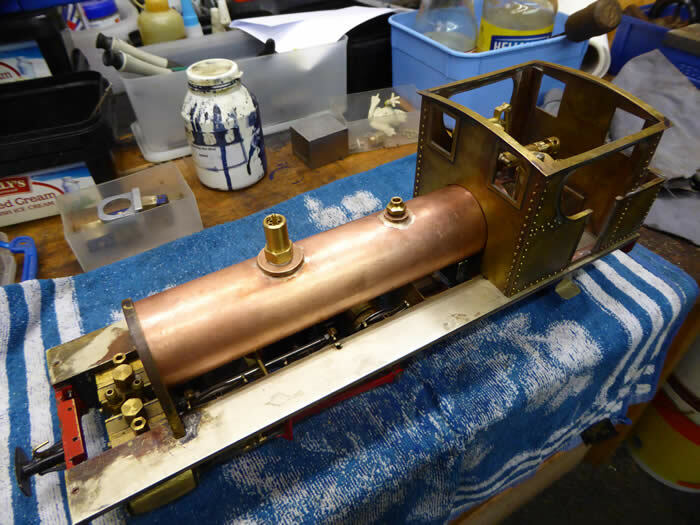 The boiler could now be fitted to the chassis and the steam fittings made. 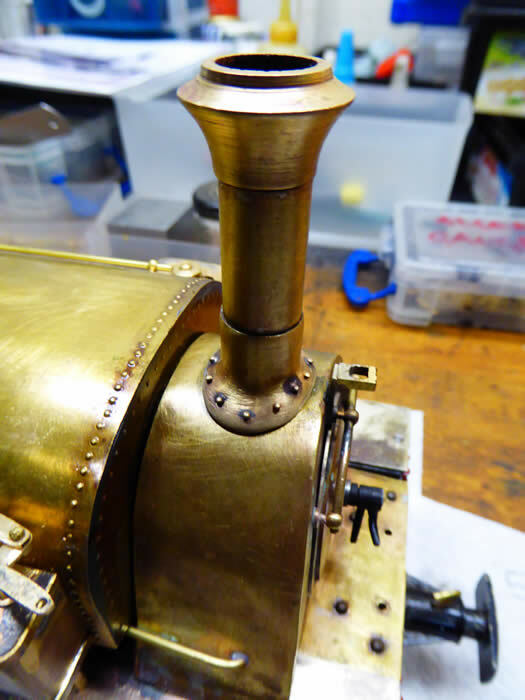 This picture shows the steam turret with Regner whistle valve , the deadleg lubricator and the DJB reverser which works the steamchest draincocks. A Roundhouse burner and radio controlled regulator was used. The pipework seen below was married up to a large Roundhouse gas tank which is in the coal bunker. 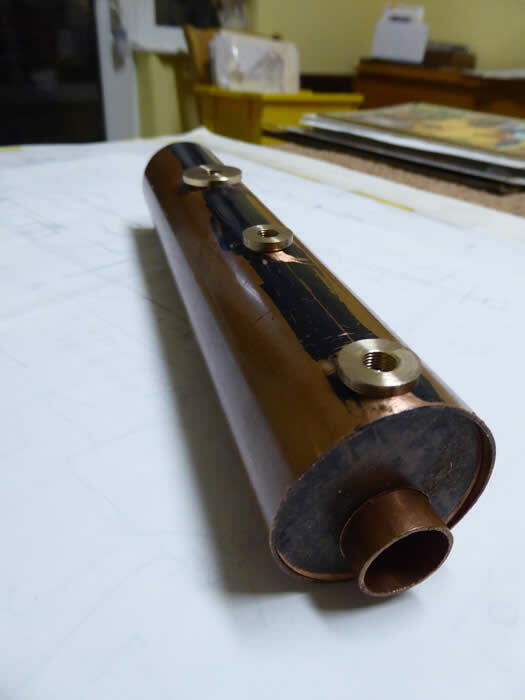 I made a base for the Roundhouse Gas valve so that it could double as a handbrake. This picture shows the cab in position. The advantage of a deadleg lubricator is that it takes up far less room than a conventional IN/OUT Roundhouse type. A drain was provided under the footplate. I made an ashpan to carry the receiver, battery and switch. 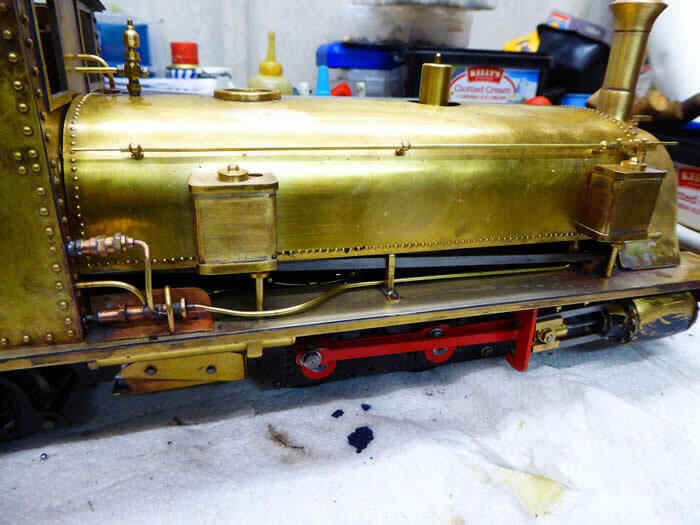 Detailing could now be carried out as per the Hunslet picture as scale as possible given my engineering skill. The chimney was given its rivets [ bolt heads! ] and the blower pipe was fitted as well as the lamp bracket. 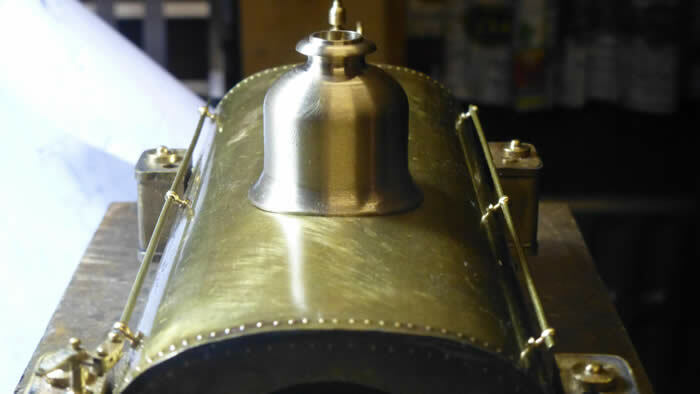 The smokebox can be easily removed to get to the exhaust by undoing two screws. The door opens so that lighting the engine is easy. This picture shows sandboxes. The sander pipes secure to the footplate so that the tank can be removed as a single item without removing the cab. The injector detail is as per th picture. The dummy rod was for operating the draincocks. The reach rod does this on the locomotive. In this view the ash pan and Regner whistle can be seen under the footplate. Looking at the left hand side the switch can be seen mounted in the side of the ashpan. There is a lot of dummy rivet detail in the saddle tank!! I did fit three servos into the cab but reverted to two, making the draincocks a manual operation by using the reverser. 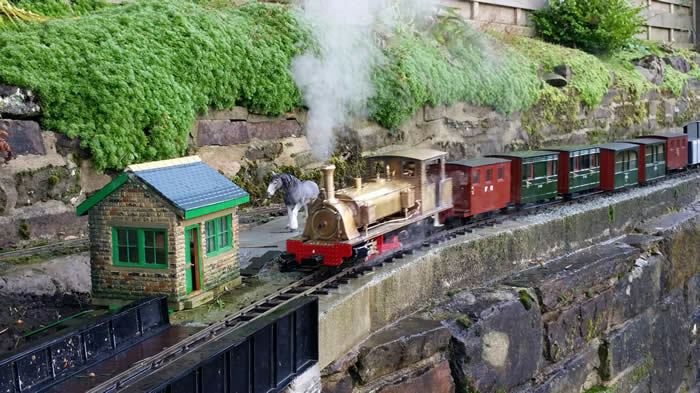 This view shows Beddgelert at Aireside Railway on December 7 2015 . 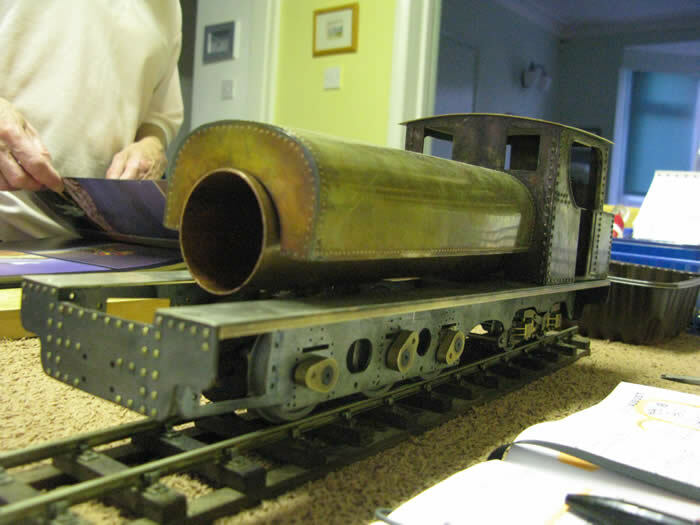 The sandbox rodding and boiler brackets are in place . The steam dome and Salter safety valves have yet to be fitted. The roof is a push fit. She steamed successfully and was able to pull a Ffestiniog/ NWNGR train. 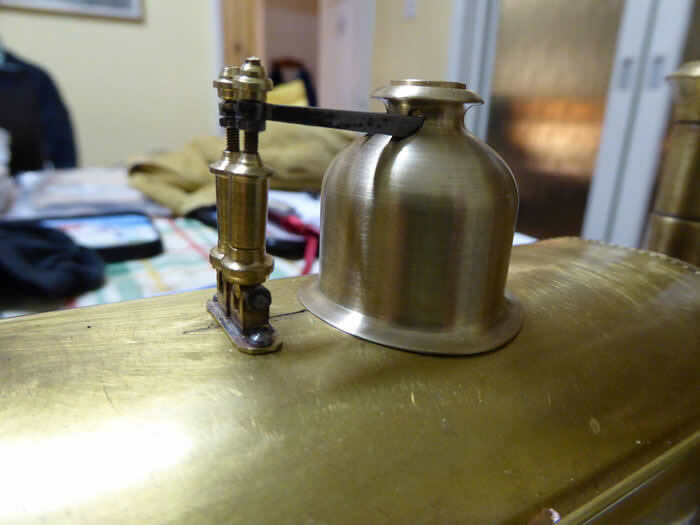 Trev manufactured the dome from a solid round of brass and I made the Salter valves. Just the painting to complete [ frame matt and body work gloss ] and plates from Narrow Planet to fit. Some poetic licence with the colour! !